To celebrate the 10th series in NECA’s bestselling Aliens line, they are dedicating the full series to the classic Kenner Expanded Universe Aliens of the early 1990s! 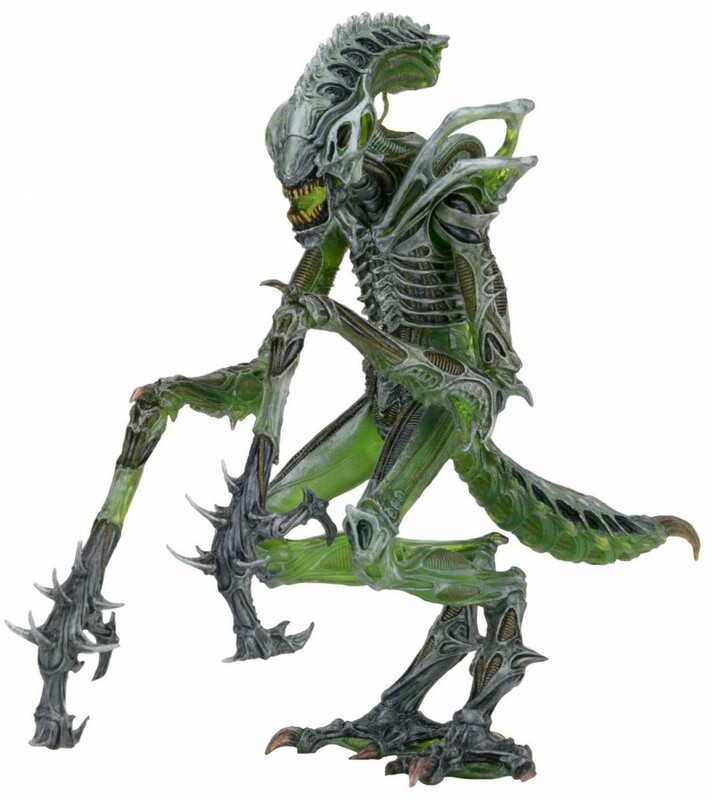 Series 10 includes the Mantis Alien, which is cast in translucent green just like the original! Taking inspiration from those designs, NECA’s team has transformed these Kenner classics into modern versions with all of today’s detail and articulation. Each comes with a reprint of the classic Dark Horse mini-comic that was included with the originals! These highly detailed figures stand over 9” tall and are fully poseable.